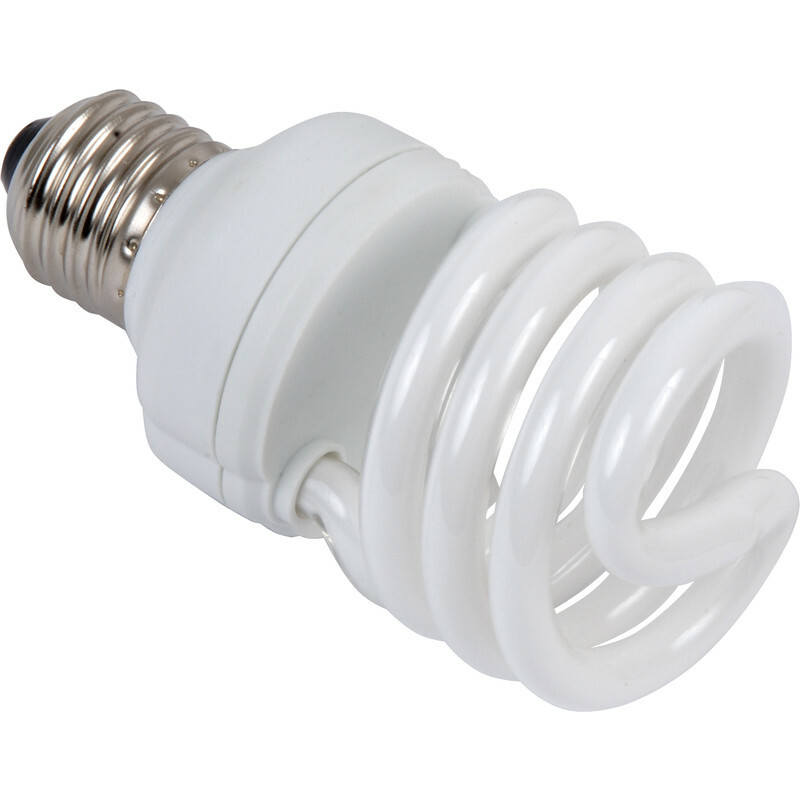 Sylvania Energy Saving CFL Spiral T2 Lamp 12W SES 600lm is rated 4.9 out of 5 by 13. Rated 5 out of 5 by nigelrc from 20w light bulbs Hard to find 20w bulbs now, excellent product works very well. Rated 5 out of 5 by Pollyg58 from Great brightness The bulbs are better than expected. There is great brightness and clarity with no warming up needed. Rated 5 out of 5 by Steve777 from Great bulb Extremely bright light with quick start up time. Rated 5 out of 5 by Nigel R from Bright fairly quickly and efficient Work great across our rental property, generally get at least 5 years out of them in rooms and hallways where they are often just 'left on' for days. Rated 5 out of 5 by Anonymous from Energy Saving Lamp Good buy.... Fit for purpose... Easy to install.